Click here to view sources of WVC data. 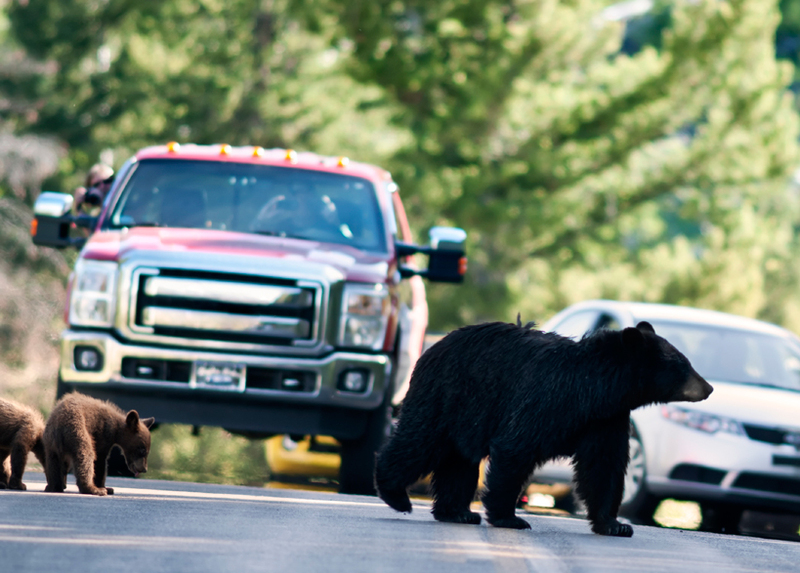 Wildlife-vehicle collision (WVC) data are critical to helping researchers and practitioners formulate new approaches to road safety, wildlife management, road design, public education, and environmental impact to name just a few issue areas. To be usable, data should be accurate, detailed, robust, sufficiently broad, and consistently collected. Without quality data, it is difficult to identify problems and solutions to reduce WVCs. For instance, accurate data can help determine the impact of transportation systems on wildlife habitat, where to build a road, or what type of mitigation measures would be most effective. Several organizations, educational institutions, businesses, and government agencies collect data on wildlife-vehicle collisions. However, the way in which data are gathered and communicated can vary widely across these groups. Hence it is important to recognize the advantages and potential limitations of these different data sources. This page provides a brief background about the benefits and limitations of existing WVC data, the need for more and better collection of WVC data, and current sources of WVC data. 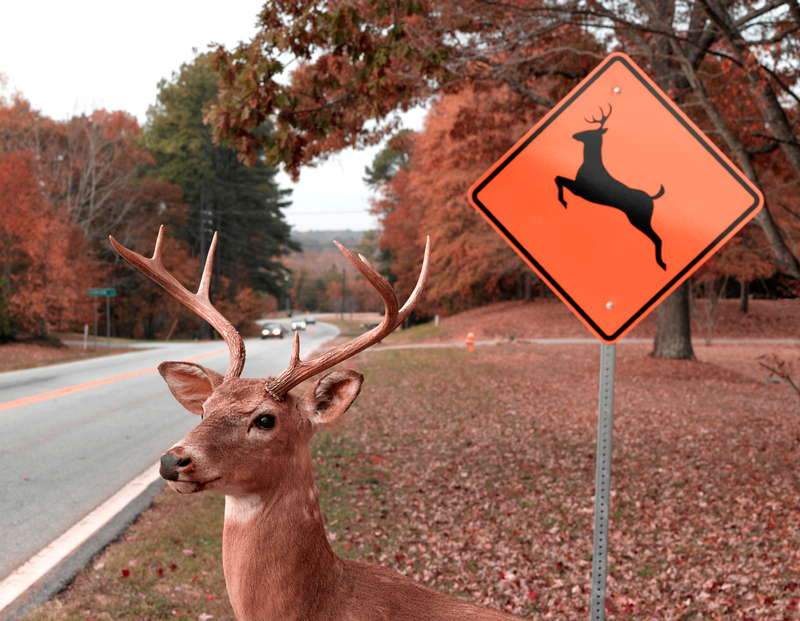 The type of data gathered concerning wildlife-vehicle collisions is diverse. Organizations, agencies, or businesses may collect various information such as the species of wildlife involved in collisions, the location (spatial), time of day or season (temporal), the extent of damage to vehicles, the presence of mitigation measures, and any related injuries or fatalities to people among various other types of information. However, not all groups collect the same information nor collect it in the same manner. For instance, law enforcement may collect information related to location and injuries to people at the scene of a collision while conservation groups may collect species type and seasonal information about carcasses days after a collision. Even agencies with similar mandates and roles across Canada, such as law enforcement, may collect different data and use different recording and collection methods depending on the jurisdiction. To illustrate, police in one location who respond to a collision may record GPS coordinates and animal species through an electronic device as part of their collision report, while police in another location may estimate the location of a collision based on the nearest kilometer marker, only record that an animal was hit and not the species type, and may use a paper collision report form. For these reasons, data sources may be limited by the information that is available or the data may be difficult to compare across different jurisdictions. The method of data collection also may differ, particularly depending on who collects data. Data can be gathered via professionals or through citizen-science strategies. Individuals with formal training in collecting information, such as research scientists or law enforcement officers, fall under professional data collection. Access to data gathered through this method is usually only available to other professionals or agencies and is often contingent upon the signing of an agreement between the custodian of the data and the user. In contrast, citizen-science data collection is defined by the Oxford Dictionary as “the collection and analysis of data relating to the natural world by members of the general public, typically as part of a collaborative project with professional scientists” (Oxford Dictionaries). Citizen-science data may be analyzed by citizens and professionals. Both professional and citizen-science data collection have many benefits. Data gathered by research professionals, for example, often must meet specific study design requirements such as gathering observations for clearly defined events (e.g., deer usage of animal over passes from November to April) or obtaining data not accessible to the public (e.g., injuries and fatalities to people involved in collisions). Data gathered under these rigorous and controlled methods or gathered from specific sources typically increases the precision and reliability of analyses and results. Data gathered by citizen-scientists are usually collected and submitted voluntarily by the public. Information may be collected through online questionnaires, mobile device applications, or paper/fax submissions. Using volunteers provides multiple means of reporting and enables organizations and agencies to gather larger amounts of data at little to no cost. This method is particularly useful when attempting to gather field-based information that spans great distances and/or time periods, or requires observations of unpredictable events. There are also important limitations associated with both methods of data collection. Although widely used, data gathered by some professionals, such as law enforcement or highway maintenance contractors, are not required to meet precise scientific methods and thus their data may not be rigorously collected or accurate. Other professionals, such as researchers, are often limited by time, location, or funding in order to collect wide-ranging information or they simply may not be present when an incident occurs. On the other hand, people who collect citizen-science data may not be trained properly in standard data collection methods and may report inaccurate information. Although this last issue is a potential risk, most questionnaires ask for specific information and, when the public is provided with proper training to collect evidence, they often gather data similarly to professionals. Together, citizen-science data collection and professional data collection can help fill gaps in knowledge and research concerning WVCs. Access to either raw (original) or processed (manipulated) data is dependent upon the owner of the data. Some groups may make their raw or processed data available to the public while others may make it available contingent upon the signing of an agreement for its use. In terms of WVCs, one of the most commonly used sources of data that incorporates large geographic areas is data from police-reported motor vehicle collisions. Almost all jurisdictions across Canada report animal involvement on police collision forms, which are entered into a provincial or territorial database. This data, however, can vary where some agencies may only report that an animal was involved while other agencies may report species type and other animal-related details. Transport Canada collects these data from provinces and territories as well as from provincial insurance agencies to produce annual national statistics. However, due to variations in reporting from the different jurisdictions, Transport Canada generalizes some information such as classifying both wild and domestic animals as simply an ‘animal’ collision. third, injured animals may move away from the road to die elsewhere. In contrast, some instances of over-reporting can occur through insurance claims, such as drivers who may claim a collision was a result of an animal instead of due to other causes, or when multiple observers to a collision report the same incident to a citizen-science database. Although much less common in comparison to under-reporting, over-reporting sometimes occurs thus adding to some of the complications in accurate WVC data. Despite the difficulty of collecting WVC data, there are many ways it can be improved. Groups, agencies, businesses, and interested others can work together to establish standardized data collection methods in a given locale. This would improve comparisons and allow for broader analyses. New technologies such as applications for mobile devices can be used to make data capture easier, more accurate, and timely among citizens and professionals. Refer to the Mobile Device Apps table below for a list of some apps that have been launched or are under development. WVC data collection also requires a broader framework to connect the various Canadian researchers, practitioners, and public to jointly promote their interdependent objectives towards improving wildlife-transportation interactions. Such efforts would help to reduce knowledge gaps and provide more direction for the field. Following are tables of different sources of data related to WVCs. For a detailed compilation of various sources of Canadian WVC data, refer to the Wildlife-Vehicle Collisions in Canada: A Review of the Literature and a Compendium of Existing Data Sources (Vanlaar et al. 2012a). Click on a table title below to active the drop-down panel. Various public agencies collect data on WVCs; however, the majority require permission before you may access the data. Chief Medical Examiner’s Office Manitoba Manitoba Justice Data in reports includes place of collision and other information. Coroners Service of British Columbia British Columbia Ministry of Justice, BC Data in reports include GPS coordinates, weather conditions, vehicle information, and driver condition, among others. Medical Examiner and Coroner Offices Alberta, British Columbia, Manitoba, Saskatchewan, Newfoundland Provincial government Data not consistently gathered across all agencies. Contact local agency. Office of the Chief Coroner Saskatchewan Ministry of Justice, SK Data in reports include highway number, weather conditions, vehicle information, and human condition, among others. Maintenance Contractors Most areas in Canada Provincial or municipal government Data not consistently gathered across all agencies. Contact local agency. Municipal bylaw or animal services All of Canada Municipal agencies Data not consistently gathered across all agencies. Overlap of data collection between some agencies such as fire and public works departments. Contact local agency. A number of organizations collect data on wildlife and may record data with respect to collisions with vehicles as part of threats to wildlife. Beyond Canada, there are other sources of data that may be useful for analysis. California Roadkill Observation System (CROS) U.S. (California) Road Ecology Center at UC Davis Information Center for the Environment Citizen-science collected data. The site provides a map of California with the citizen-reported data pinned to the location of the carcass sighting. Website data are visible through an online form or an interactive map. EpiCollect Roadkill Garneau U.S. Smartphone Apps for Wildlife Observations Citizen-science collected data.Data appears limited to 2012. Data collected by an enthusiast, no affiliation with any organizations or businesses. Web mapping tool and downloadable data (CSV and XML formats). Raw data are public and downloadable. EWT Biodiversity Data Bank South Africa Endangered Wildlife Trust (EWT) Collects data on threatened species in South Africa. Request data page. About the project. I-90 Wildlife Watch U.S. (Washington state) Western Transportation Institute (WTI) Citizen-science data. A web-based map and database designed to record observations of road-side and road-killed wildlife. Data can be reported through an online form and reported data viewed through an interactive map. Maine Audubon Wildlife Road Watch U.S. (Maine) Maine AudubonMaine Department of Inland Fisheries and WildlifeMaine Department of TransportationRoad Ecology Center at UC Davis Citizen-science data. A web-based map and database designed to record observations of road-side and road-killed wildlife. Data are visible through an online form or an interactive map. The following are databases that collect information via mobile applications. Vanlaar, W.G.M. ; Gunson, K.E. ; Brown, S.W. ; and Robertson, R.D. (2012a). Wildlife-Vehicle Collisions in Canada: A Review of the Literature and a Compendium of Existing Data Sources. Ottawa, ON: Traffic Injury Research Foundation (TIRF). Vanlaar, W. G. M., Gunson, K. E., Brown, S. W., & Robertson, R. D. (2012b). Creating a Wildlife-Vehicle Collision Clearing House in Canada: A Feasibility Study. Ottawa, ON: Traffic Injury Research Foundation (TIRF).